Here’s a little chocolate bar from Chocolopolis that was made right here in California. This was a very good bar. Rich dark chocolate and almonds are always good together, and the bar was extra salty and flavorful from the sea salt. I looked up the maker, Snake & Butterfly. They are a small chocolatier in Campbell, CA. They select and purchase their beans from small farms, and they roast the beans and pour the chocolate themselves. From what I read (and tasted), they sound like they have a great operation going on! Happy New Year, everyone! I hope you had a safe and fun holiday, and that you are ready to kick off the new year with lots of wonderful and unusual chocolates. Let’s start with this dark milk chocolate that I picked up in Chocolopolis in Seattle in 2011. I really liked this bar. I have always liked malted milk balls, but I’d prefer a dark chocolate version, and this bar is pretty close. Don’t let the milk chocolate on the label fool you. This chocolate may have milk in it, but at 55% cacao, it is quite dark and delicious. In August of 2011 on my birthday, I was in Seattle in Chocolopolis, a small chocolate shop in Queen Anne Hill, where I found this package of ten small chocolate bars, a tasting pack of chocolate. These were delicious, all of them. I must admit that my memory of the day is a bit hazy, as birthday libations followed my visit to this store, and I misplaced these and a few other labels after the trip, which is why they are appearing out of date order in my blog. But I remember tasting each bar and finding them all to be exquisite. 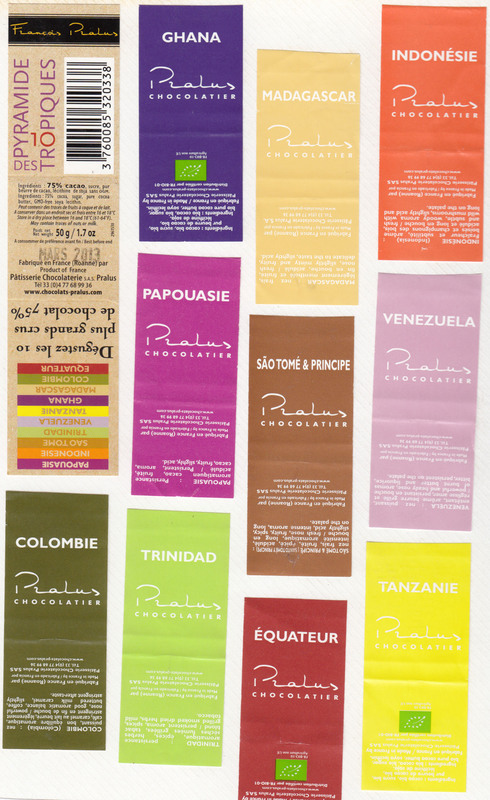 All of them are single origin, and all were 75% cacao. I will need to try more bars from Pralus. BTW, the Chocolopolis store was really amazing too. They have a wide range of unusual and rare chocolates, at least here in the States. They are worth a visit if you are in Seattle. And speaking of libations, I hope everyone has a safe and happy New Year’s Eve tonight! I’ll see you back here in 2014, with a whole bunch of new chocolates. My sister-in-law Brittney gave me this chocolate bar for Christmas in 2011. Here’s the label. The coolest thing about this bar was it LOOKED like Han Solo embedded in carbonite. And you know what? It was pretty good dark chocolate too. 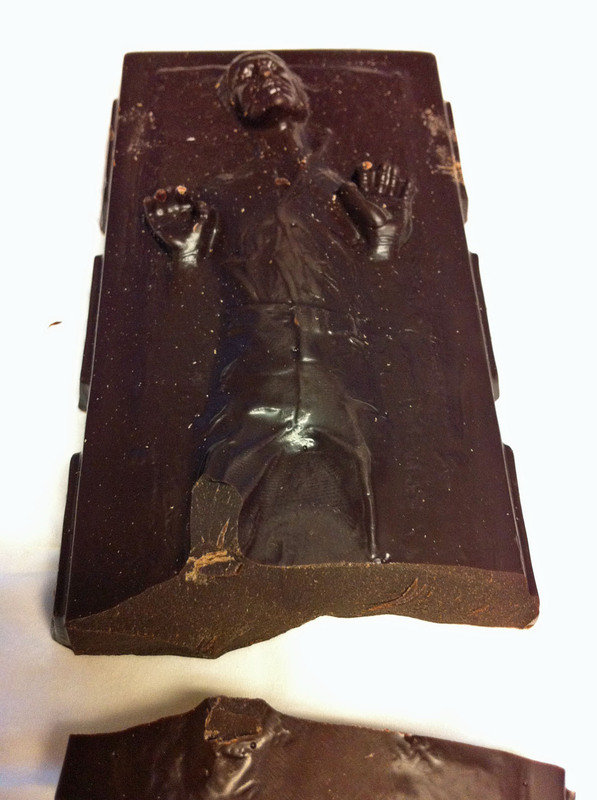 Way better tasting than actual carbonite (which I hear tastes like pencil lead). My friend Tiffany C. brought another bar back from Switzerland. This chocolate was really good, like most Lindt bars. I was surprised that there was barely any heat or cherry flavor. I liked that I could taste the chocolate, but after their chili bar, I expected more heat in this one. 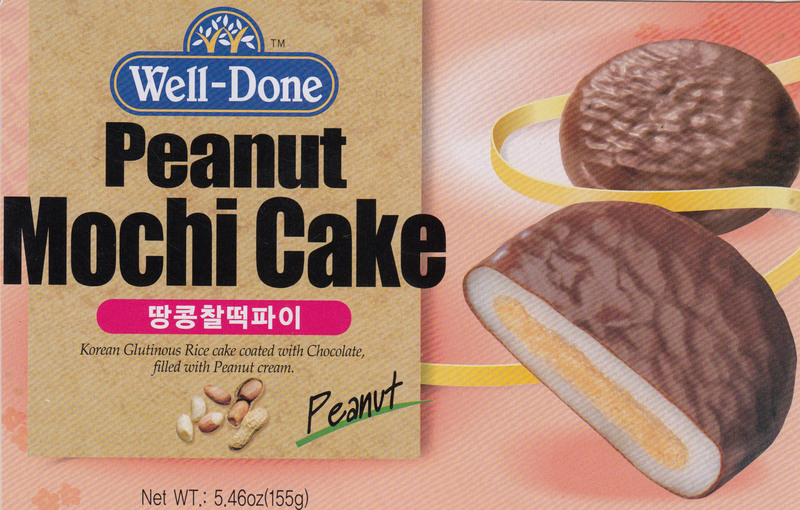 Tiffany C. also brought some fun chocolate goodies back from South Korea. This “cookie” was a flattened mochi cake (mochi is pounded rice paste) filled with chocolate almond cream and covered in dark chocolate. The whole thing was chewy and chocolatey and not very sweet, the way I like it. Yum! She brought another flavor too! 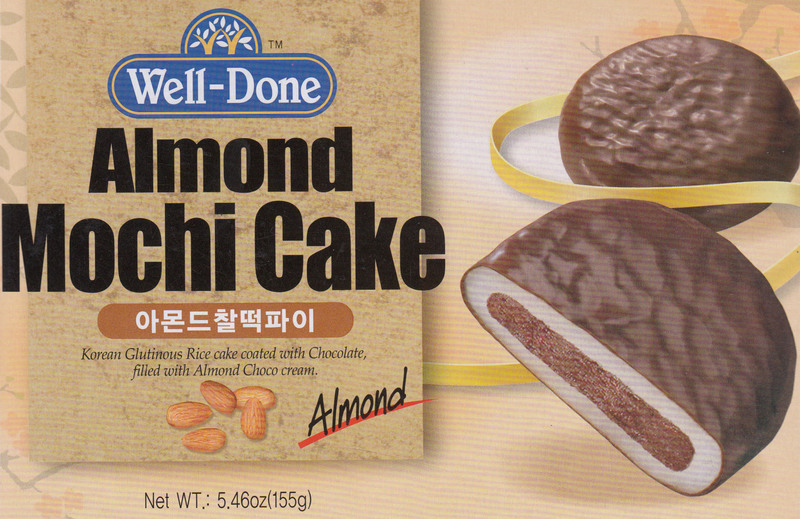 This one was similar except it contained peanut cream instead of chocolate almond cream. I liked it even better! It was like a soft chewy peanut butter cup. I wish they carried these in stores here in the States. My friend Tiffany C. went to Switzerland during the summer of 2011 and brought back this bar. This bar was fantastic! It has a delicious soft chocolate filling, generous amounts of whole roasted hazelnuts, and a deep dark chocolate coating. I tasted it and immediately wanted more! It turns out this is my second Camille Bloch bar, and the first one was just as good despite being milk chocolate. I am keeping my eye out for this brand. In fact, all chocolate from Switzerland seems to be really good, so I am keeping my eye out for anything from this country.